Celebrating the 36th and 37th Homes Completed in Adams County! 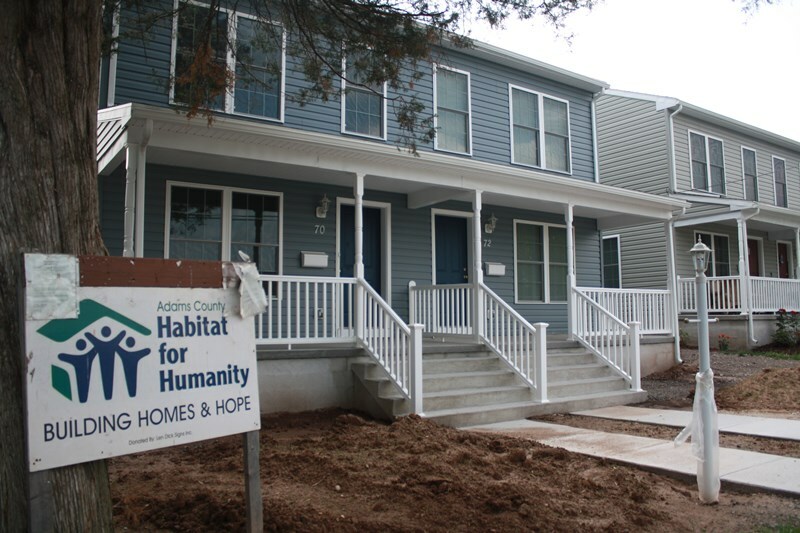 Open House: The public is invited to come tour Adams County Habitat for Humanity’s latest completed duplex, 70-72 North Fifth Street, Gettysburg, on Sunday, June 14 from 1-3. The public is invited to an open house and celebration of Adams County Habitat for Humanity’s newest duplex home built by volunteers, 70-72 Fifth Street, Gettysburg, on Sunday, June 14 from 1-3 pm. Tours and refreshments will be available, along with the chance to learn more about the non-profit organization and apply for a future home. It took the combined efforts of about 140 volunteers to build the two-story duplex, just under a year to build the duplex, beginning with an initial “Blitz Build” in July-August of 2014 to kick off construction. Work took place mainly on Saturdays, with approximately 3,200 hours of donated manpower recorded. Two partner families are set to move into the new homes—in fact, they were required to supply up to 500 hours of “sweat equity” by constructing the homes side-by-side with volunteers and skilled laborers—many of which donate or discount their services. 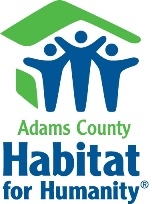 Biglerville will be the site of Adams County Habitat for Humanity’s next home construction site, which will kick off with a Blitz Build in August. Prospective homeowners are encouraged to apply for the home, which will be a single-family dwelling. Habitat for Humanity offers interest-free mortgages to those who qualify. Applications for future homes will be available at the open house and are also available online at www.habitatadamspa.org. Nineteen community members serve on the organization’s board of directors. Officers include: Pete Ricker, President; Bill Tyson, Vice President; Pete Wilson, Treasurer; Lori Wright, Secretary; Bob Boehner, Mortgage Servicing Treasurer; Karen Hendricks, Public Relations; Sue Pindle, Family Selection Chair.